Confocal and gSTED images of nuclear pores in the nuclear membrane of NB4 cells. 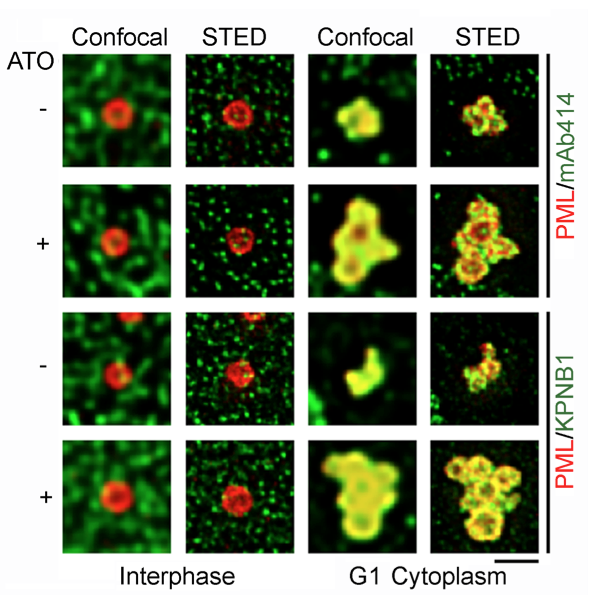 PML bodies (PML) tether to early endosomes (EEA1) in mitotic cells. Palibrk V, Lång E, Lång A, Schink K.O, Rowe A.D, Bøe S.O, 2014, Cell Cycle 13(11):1749-55. 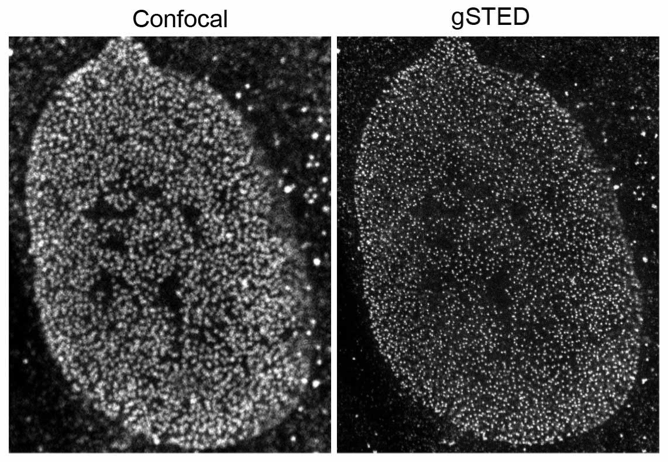 Characterization of nuclear and cytoplasmic PML bodies using gSTED microscopy. Lång A, Eriksson J, Schink K.O, Lång E, Blicher P, Połeć A, Brech A, Dalhus B, Bøe S.O, 2017, Nucleus 8(4):404-420.